Home» VideoScribe» Community» VideoScribe questions and answers» How to make SVGs draw well? ANSWER: (Tips are for Adobe Illustrator but may work similarly in inkscape or other programs) I believe the tips below will give you the BEST results and the fewest problems. Breaking one or more of the "rules" may cause unexpected drawing results or may contribute to slow downs, freezing, crashing or failure to save, load, or render. 1) USE THE PEN OR PENCIL TOOL: They create stroked paths and that is what videoscribe "draws" by default. The paintbrush tool makes fills instead of paths. 2) SIMPLER IS BETTER: Properly made SVGs will generally be well under 100KB and contain only stroked paths and/or filled paths. It may be best to avoid problematic data like embedded images, or masking or clipping paths, or glows or other effects which may contribute to freezes or crashes. A hand drawn SVG will generally draw better than an jpg that has been "auto traced" to become vector art. If you auto trace, try to adjust the settings to provide smoother lines instead of hundred and hundreds of nodes. 3) DRAWING ORDER and color fills: In general, videoscribe will draw lines (stroked paths) in the same order that they were drawn when the SVG was made. If you use auto trace to convert an image to stroked paths then the drawing order may seem somewhat arbitrary. Using groups or any type of subfolders may affect the drawing order. filled areas appear last by default. You can use the trick mentioned in tip #1 to make videoscribe "draw" the filled colors. another related link is at the bottom of this list. 5) DELETE ALL HIDDEN LAYERS: from SVGs when you make them. (hidden layers increase file size. larger file sizes require more memory to process.) Also there are are some youtube tutorials (not official videoscribe tutorials) that mention leaving embedded JPGs or pngs or other images in your SVG files but I wouldn't recommend that. They may contribute to freezing and crashing. official support post: "Create your own images"
official support post: "Fill an image with color using the hand"
You can also take a look at our SVG tutorial if you need to know the basics. the "output fewer <tspan> elements" setting may have an effect in the export of SVGs from Illustrator CC. It may be best to uncheck that option if using CC. I don't have CC so I can't test this to be certain. The matter is discussed briefly at the link in item 8 in my post above. SVGs made with illustrator creative cloud may appear solid black in videoscribe as a result of some newer formatting that videoscribe does not recognize. The main setting to look out for is the CSS Properties in the Advanced section. This should be set to either Style Attributes or Presentation Attributes. Thanks for this Mike, I was having the blackout problem and couldn't understand why. I used your settings above which solved the problem. Great! Thanks for posting your results. But I don't like the plain pen stroke of illustrator. So I'm using photoshop brush strokes al the time. I save the photoshop file as PNG than import it in illustrator and save it as SVG. Which obviously doesn't do any thing. And my scribes keep crashing within the minute I start working in them. Is there a way I can still use images which are not plain illustrator pentool lines? With previous versions of videoscribe (or creative cloud) it worked a lot smoother. I think it should be told clearly that the program can't handle transparant images if it can't. It would have saved me a LOT of time and frustration. 2) If the SVGs you make are crashing videoscribe, you could upload one of your problem images for some feedback. 3) If you preferred the drawing method for PNGs that was used in videoscribe version 1 you could look for a suggestion thread (or start a new one) to either bring back that drawing method or make version 1 available again (I still use version 1). 4) I'm not sure what you mean about transparent images. Videoscribe CAN handle transparent png images fine and SVGs with transparent backgrounds. However, it does not understand certain things like individual layers in an SVG set to "darken" or "multiply" and it does not like layer masks or some types of effects like glows or other things that greatly increase the file size. Also transparent GIFS will not display correctly. Those should have a white background. 5) The colored painting in the video you attached was made using the process described in the links above with multiple transparent PNGs imported into illustrator or inkscape and transparent paths added to tell the videoscribe hand how to move. Thanx for your response Mike. Yes I know how to make the pixel images drawable with transparant paths. The attached scribe in the link was made by me. It's just that I think I have to many pngs in use in the scirbe I'm working on right now. I don't want everything drawn, just sliding in. But the images are constantly broken when I edit for example the size. And Videoscribe keeps crashing when I change hands. But the supportteam is helping me optimizing it. So we're working on it. Just to add more information and resources to this thread, here is a link to another thread which includes links to a good blog and more tutorials from making videoscribe SVGs: "Using My Own Drawings?" Please use this settings for CC users. It helps to solve issue. Most of the information is the same, but I tried to improve the wording and I think it contains a few more links and workarounds for known bugs. 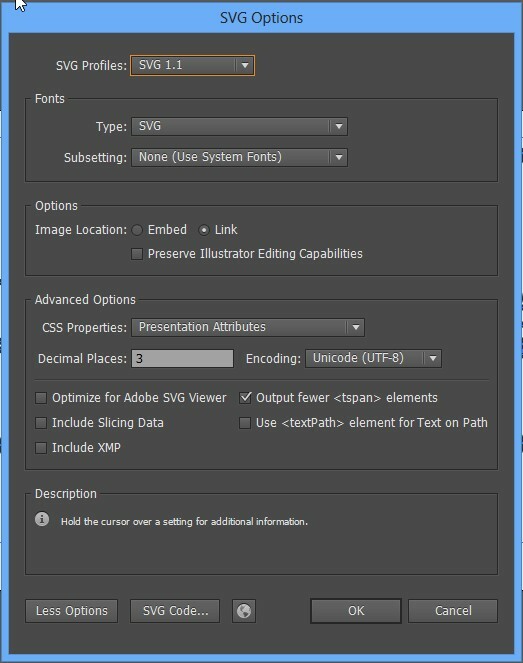 A tip for anyone exporting SVGs from Xara Designer Pro. I had an issue with text items being positioned in random places far from the source Xara design when using the SVG in VideoScribe. Right clicking on the text object in the design document and choosing Convert to editable shape (and then re-exporting) solved it. Same for illustrator and inkscape. Convert your fonts to paths.